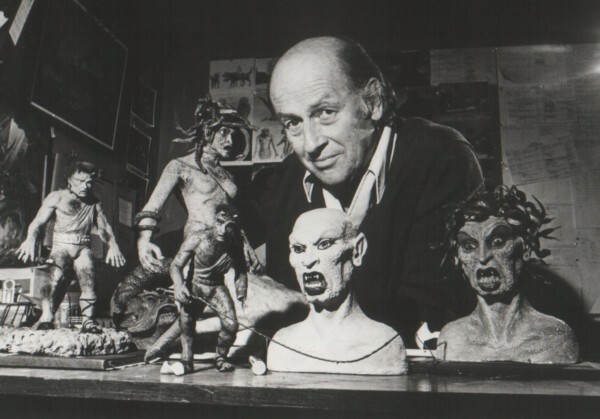 Much has been said about the passing of visionary artist and filmmaker Ray Harryhausen. With the advent of the Internet, very little of any anecdote, fact, figure, statistic and behind the scenes intrigue or biographical information is out of reach. His films are well known. 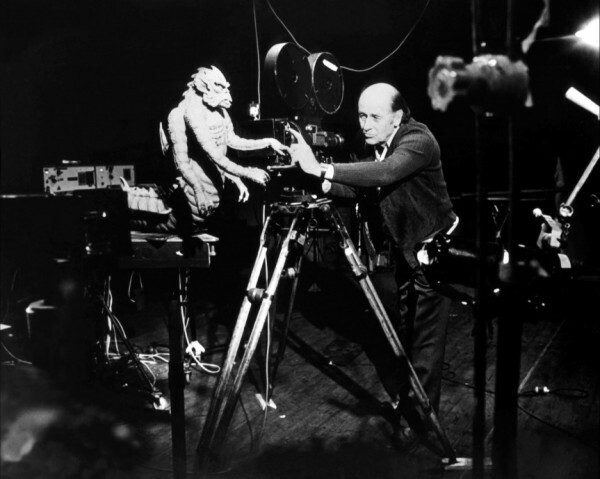 Even in today’s CGI dominated effects world, Ray Harryhausen’s work is studied, emulated and celebrated. Books have been devoted to his process… from his ideas and sketches to his paintings and animation style. 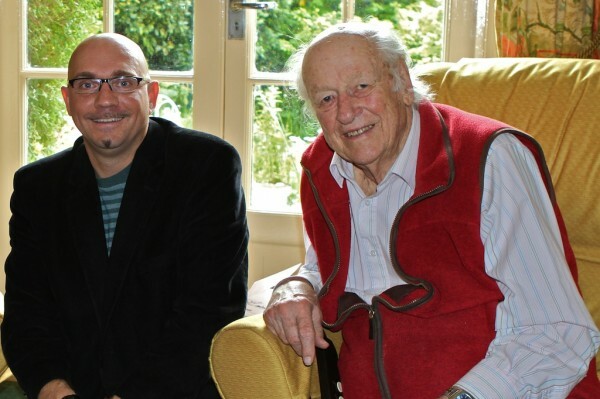 If you’ve ever wanted to spend some one on one time with Ray Harryhausen, your in luck. Read on to hear about my incredible afternoon with an incredible man. Well I came to know Ray Harryhausen first, as all filmmakers do…through his movies. I remember watching television reruns of “The Seventh Voyage of Sinbad” and “Jason and the Argonauts” in my youth. 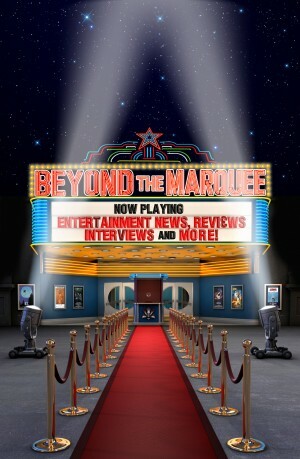 The movies of course appealed to my sense of wonder and fueled my imagination. They also played with my head. 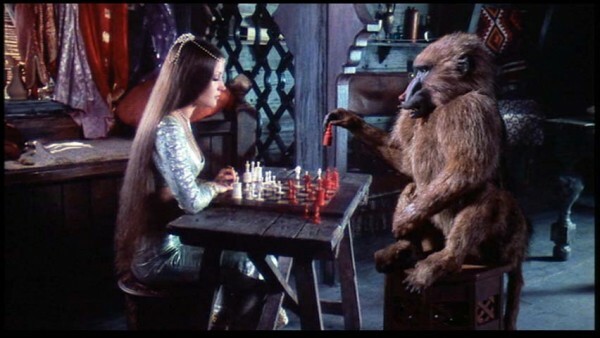 I remember being particularly dazzled at how they managed to get a baboon to play chess in “Sinbad and the Eye of the Tiger”. It would not be until years later (when I was actually a working professional filmmaker) that it was brought to my attention that the said baboon was a stop motion animation puppet. It was a bit embarrassing due to the fact that I was working as an assistant stop motion animator at the time. But it also speaks to the power of Ray’s work. 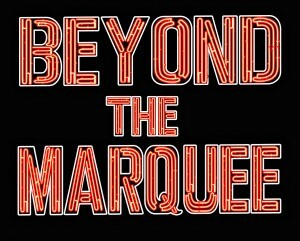 As a boy it looked real to me…so real in fact that the memory of that sequence stayed with me into adulthood. I was sure my memory was correct and that the baboon was real. I had to revisit the film to confirm the truth. The story of me being stunned that the baboon was only a puppet was eventually relayed to Ray through a good friend and film mentor. Imagine… a stop motion animator thinking the effect was real. It’s like a magician being fooled by his own trick. Ray was delighted by the story. I started in the business in my teens as an assistant stop motion animator. 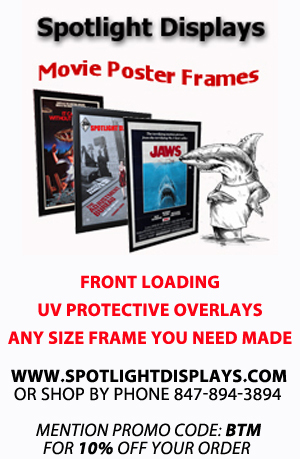 I was immersed in the world of metal armatures, foam rubber and frame-by-frame still frames. I was also immersed in the world of Ray Harryhausen, studying his technique and learning secrets of the trade that few other animators knew (and many still don’t know to this day)! Eventually, I had the opportunity to spend some time with him personally. I was flying to London a few years ago to direct Christopher Lee for a stop motion animation film I was developing; Sir Christopher was doing a voice-over for the project. Since I knew some mutual friends, I decided to give Ray a call and let him know about the project and that I would be in town. He was polite and curious…a word that will come up later. To my delight, he invited me to his house. I spent an entire afternoon visiting with him and his lovey wife Diana. We talked about art, films, animation, creatures, monsters and many other topics. It became immediately apparent that Ray was not interested in the trivial or fan talk. Of course he was always courteous and gracious when it came to his fans. But if you were one on one and presenting yourself as a filmmaker or stop motion animator you had better know your stuff…because Ray sure did and he didn’t coddle you. If he brought up a film or a sequence in a film, be it popular or obscure, he was keenly aware of who he was talking to by their response and knowledge…or lack thereof. In his own mischievous way he was testing you. Not in a mean spirited way, but he knew how to separate the men from the boys. 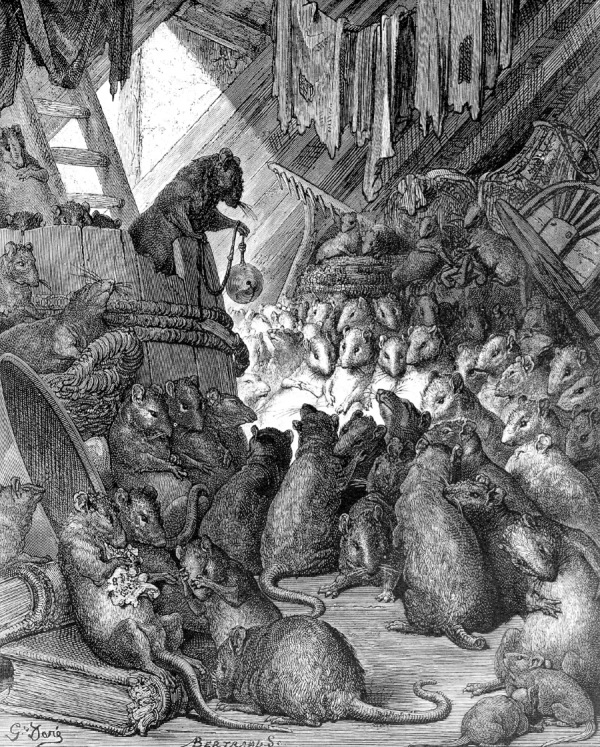 When our conversation turned to art and he spoke enthusiastically about Gustave Doré and John Martin, two artists who were influential to him, he was surprised when I brought up “The Council of the Rats” one of my favorite engravings of Doré. As we discussed it, Ray nodded approvingly. Now, I’m not too terribly concerned about getting approval from anyone but I must admit when Ray smiled and gave me that look, it felt like I had just passed a graduate level test of some sort. It has been said that one sign of genius is curiosity. In my short time with Ray, I was amazed at his curiosity. It was clear he was always learning, searching, wondering and pondering. “Look how that light plays on this particular painting”. “What type of clay works better than others and what feels good in your hands”? “Isn’t that movie amazing”? Ray was a thinker of the highest order. A rare mix of left-brain analytical problem solving (building and machining metal armatures) and right brain creativity (drawing and painting creatures, monsters and elaborate film sequences). He was a man of vision and confidence. He knew what he wanted and how to get it. Most importantly, he knew how to communicate his vision to his colleagues and ultimately to the world. As we were wrapping up a delightful afternoon, I was packing up my things. I had a Canon 7D with me, which I use for stills and time-lapse when I’m traveling. Ray noticed it and remarked that it was quite a camera. I showed him some of the features and again his curiosity was in full force. He held the camera in his hands and we discussed digital vs. film and the technology of modern filmmaking. While it is abundantly clear that Ray had no interest in CGI (characters), capturing and compositing technology was another story. The idea that you can now see your progress as you are animating in real time with the latest software was fascinating to him. To have at your disposal what is essentially free film was also tantalizing. He saw the value of what digital technology can offer but also knew its limits. While he held on to the past, he was not stuck in it. While he embraced the future, he didn’t swallow it whole. Perhaps that is an invitation to all of us. 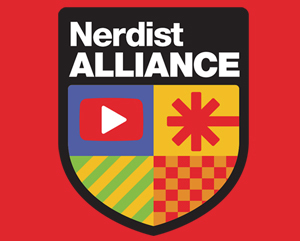 An invitation to create a new world…from a man who knows something about creating new worlds.